SACRAMENTO, Calif. -- California Gov. 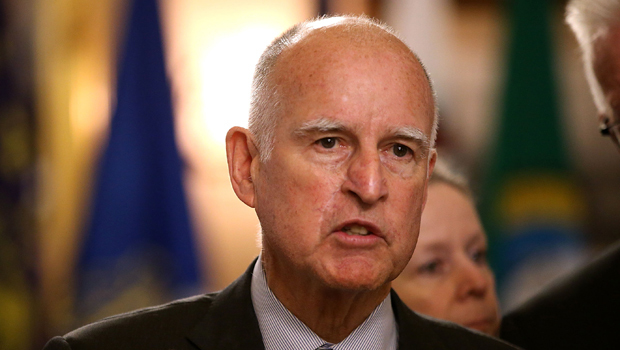 Jerry Brown announced Thursday that he has signed legislation removing the word "lynching" from the state's criminal code following the arrest of a black activist at a Black Lives Matter protest. The Democratic governor signed the bill by Sen. Holly Mitchell within days of receiving it. He signed it without comment. Mitchell, a Los Angeles Democrat, took up the issue after 20-year-old Maile Hampton was booked under a 1933 section of the California penal code that applies the word "lynching" to the crime of attempting to seize someone from police custody. "The governor's swift approval of my bill speaks to its obvious truth," Mitchell said in a statement. "It's been said that strong words should be reserved for strong concepts, and 'lynching' has such a painful history for African Americans that the law should only use it for what it is - murder by mob." California lawmakers voted unanimously to strike the word "lynching" from the books last month, noting its racially charged nature. Mitchell emphasized that the substance of the law will remain intact. Her bill only moves to delete any reference to lynching from the penal code. Lynching is typically associated with the hanging of blacks by racist mobs, which occurred throughout the South during the Jim Crow era. Almost 4,000 blacks were lynched between 1877 and 1950, according to an estimate from the Equal Justice Initiative. In Sacramento, the district attorney has since downgraded the charges against Hampton to a misdemeanor charge. In a separate incident, a Black Lives Matter protester in Los Angeles was charged with felony lynching last week.